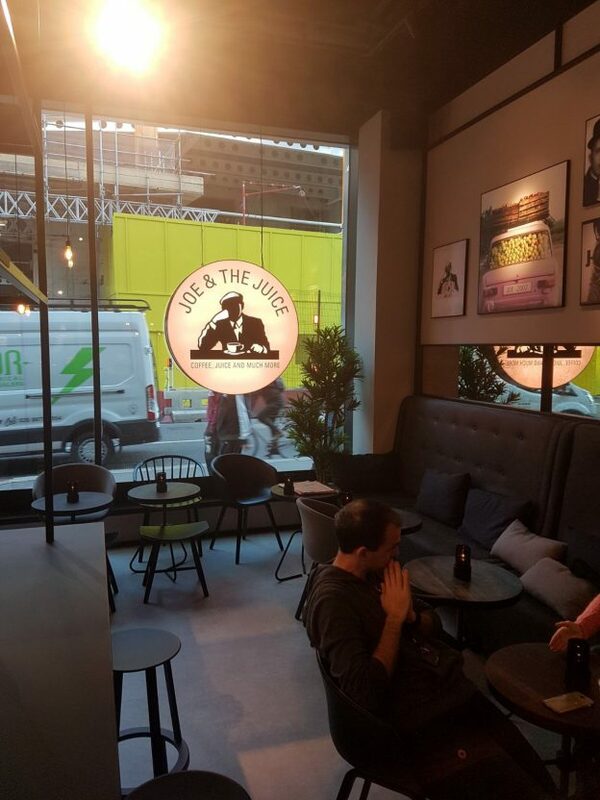 Joe & the Juice is now part of the Tower 42 Estate and what a great edition it is! With its trendy Manhattan vibe décor, nestled at the Bishopsgate entrance to the Tower the new retail outlet offers healthy juices, coffee and full to the brim sarnies packed with goodness! It all started with a little privately owned juice-bar inside an expensive furniture shop in central Copenhagen. The founder of Joe and The Juice in fact isn’t even called Joe! Kasper Basse’s vision was to make his brand as big and as popular as Starbucks! With over 160 locations in Europe and employing up to 5,000 staff he hasn’t done too bad for a former karate champion! Come and visit the new store now open! This entry was posted in Uncategorized on November 3, 2017 by sh6yw.